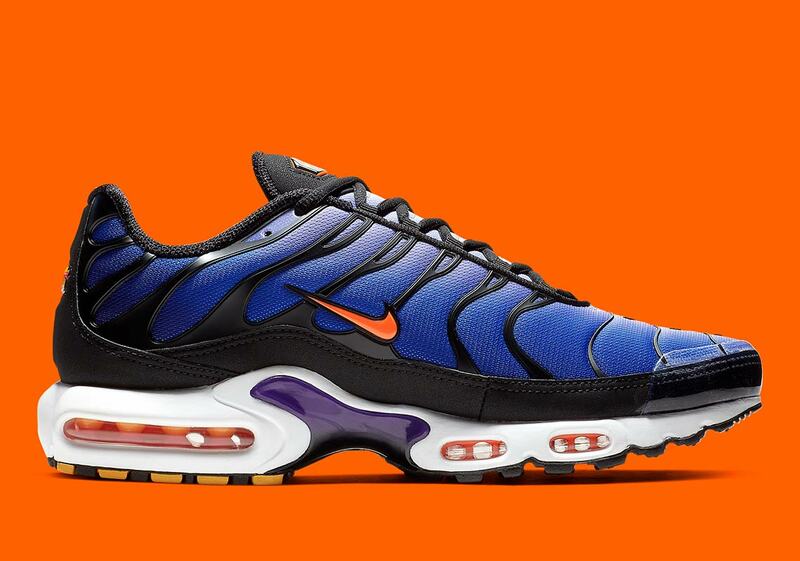 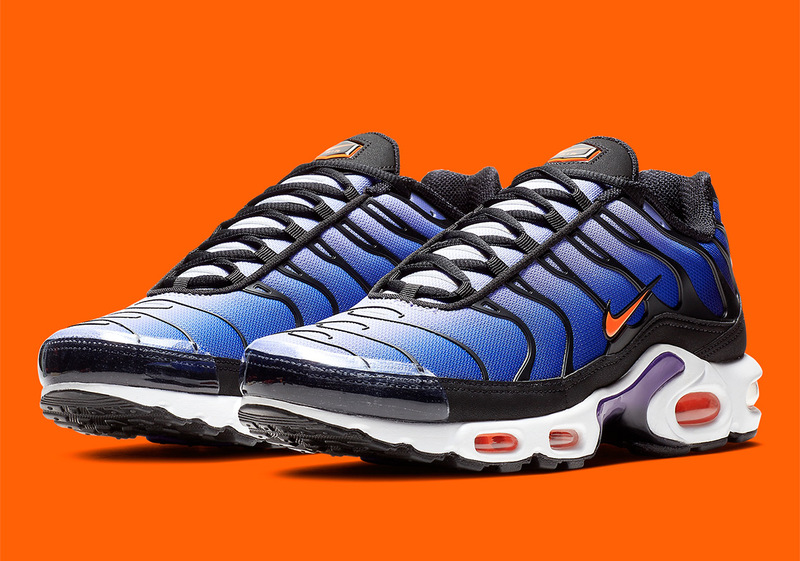 20 years ago, Nike’s Air Max Plus first released to great fanfare. 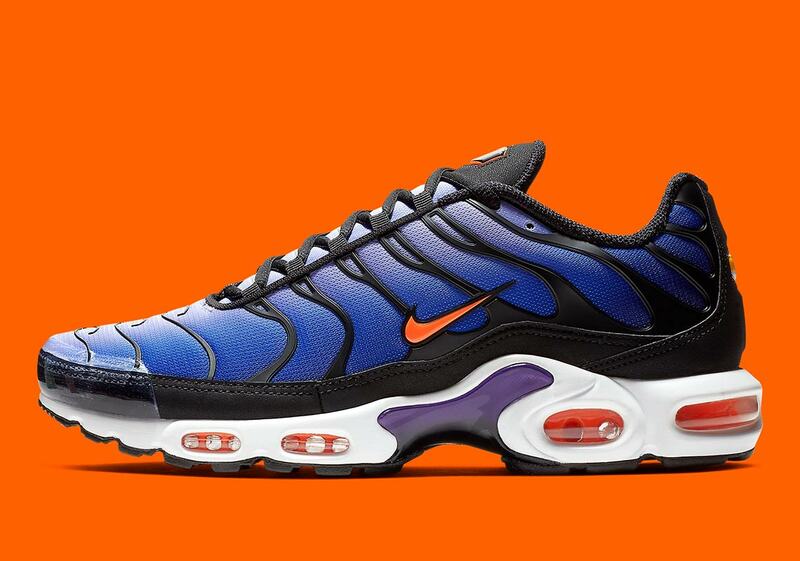 From roadmen to rockers, from the EU to the US, the Plus has become a staple of street culture, immediately recognizable for its wavy layered upper — inspired by palm trees swaying in the breeze — and bold Air Max cushioning units. 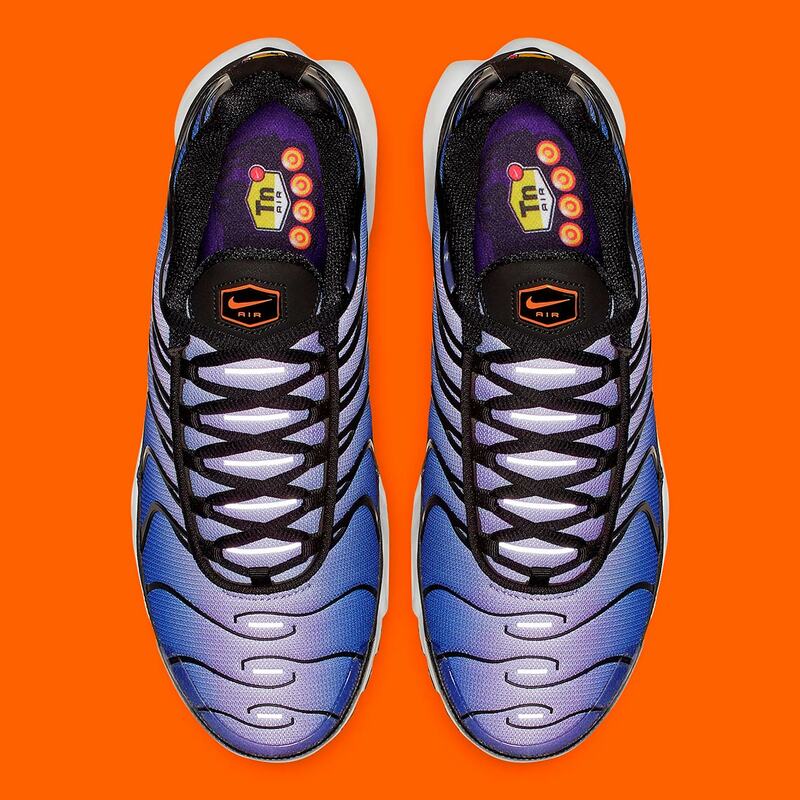 As of late it’s been re-releasing in OG colorways like the “Hyper Blue,” and now yet another classic color is set to make a triumphant return to market: the “Voltage Purple.” The masterful Max features a purple gradient fade on the upper that starts dark on the bottom and gradually becomes lighter towards the tongue, while the upper’s plastic overlays and mudguard are dressed in black to contain the colorful base. 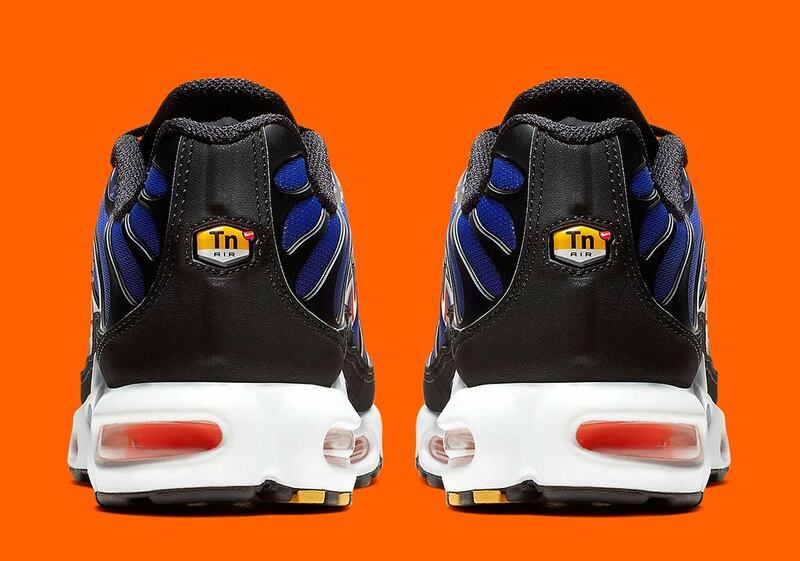 A bright orange appears on the Swoosh and Air Max units, and the look is completed by a purple midfoot shank, white midsole, black outsole, and — of course — a classic TN badge on the heel. 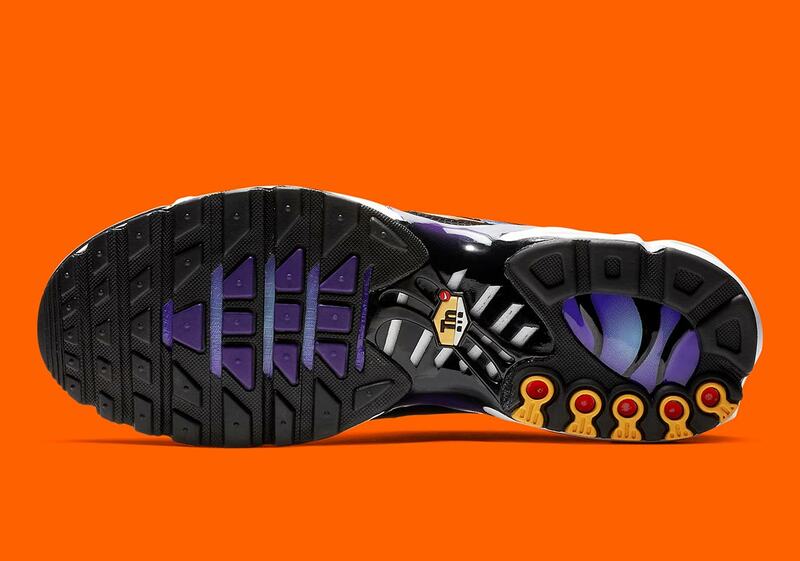 Get a detailed look at this classic Air Max below, and look for them to release on Nike.com and select NSW stockists December 15th for $160 USD.